Completed in January 2012, this 200,000 square foot industrial park for Weatherford’s Artificial Life Systems (WALS) business group consists of eight buildings, including multiple crane served buildings, and a 50,000 square foot, two-story office building. This hub facility allows several Weatherford divisions, including fracturing technologies, wellhead, and coil tubing, to maintain and stage equipment and personnel for customers in South Texas. 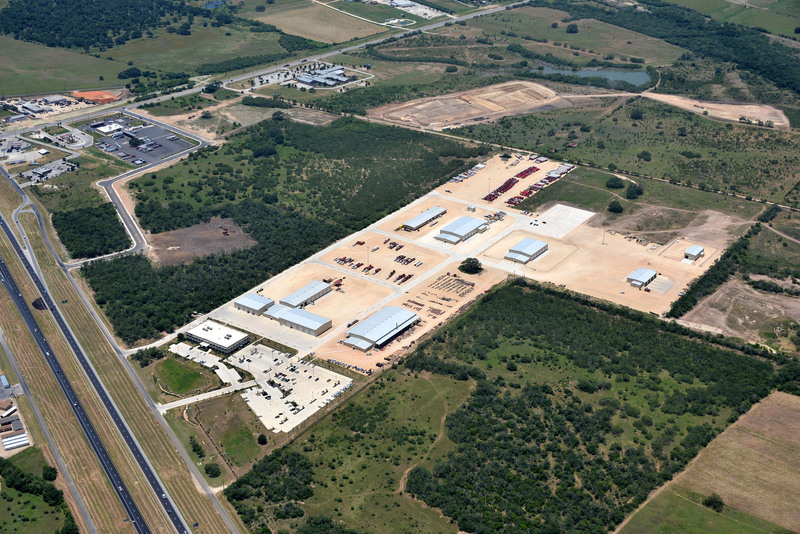 Its location at Interstate 37, south of San Antonio, provides Weatherford speedy access to its customers, in particular those in the Eagle Ford Shale region. Weatherford is a Swiss-based, multi-national oilfield service company. It is one of the largest global providers of innovative mechanical solutions, technology, and services for the drilling and production sectors of the oil and gas industry. Weatherford operates in over 100 countries and employs over 60,000 people worldwide.